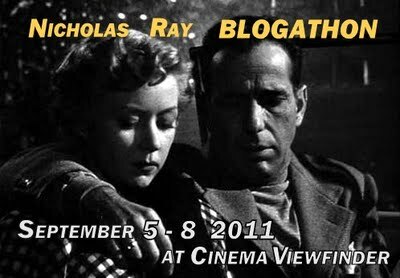 There’s a blogathon going on! Tony Dayoub’s Cinema Viewfinder Nicholas Ray celebration was a welcome incentive to return to a favourite filmmaker’s oeuvre — I leapt at the chance to view and write about the only Ray film I’d never watched at all, the reputedly minor opus known as A WOMAN’S SECRET. I went in expecting little — programmers like KNOCK ON ANY DOOR, RUN FOR COVER and BORN TO BE BAD are perfectlyenjoyable, but don’t let Ray flex his cinematic muscles much — as with the very different Von Sternberg, for whom Ray subbed on MACAO, he didn’t seem to commit fully to films that didn’t excite him. But I enjoyed this one: the titular SECRET is ambiguous, the tone uncertain, the structure wobbly, but all that adds a kind of intrigue and unpredictability to a first viewing. I’d never call this a major film, but it’s pleasingly flaky, and it doesn’t give up its mysteries. Ray is at RKO, where he did some good work, and he’s in the hands of fellow tippler Herman J. Mankiewicz, as producer and screenwriter, which must’ve been interesting, if Ray’s fraught experience with Budd Schulberg on WIND ACROSS THE EVERGLADES is anything to go by. 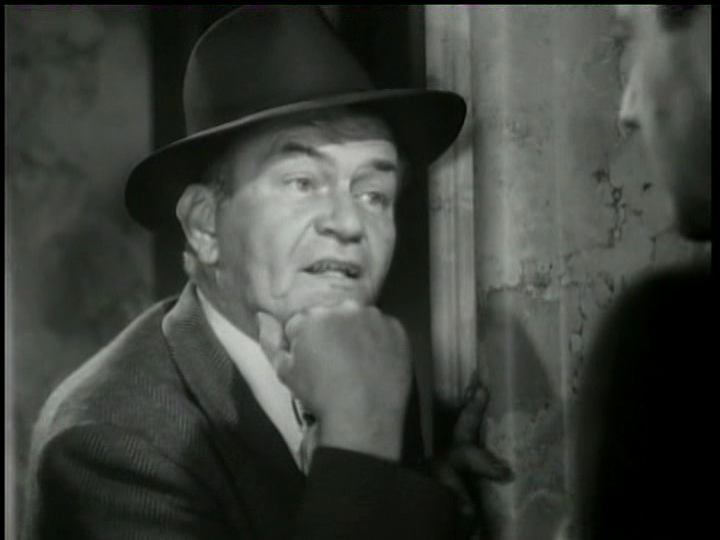 It looks as if Mankiewicz had noticed that CITIZEN KANE’s flashback-investigation structure was becoming popular in films like THE KILLERS and LAURA, and resolved to swipe it himself (well, he helped invent it in the first place) — so the movie begins with a near-fatal shooting and proceeds to examine the lead-up through the eyes of various interested parties. 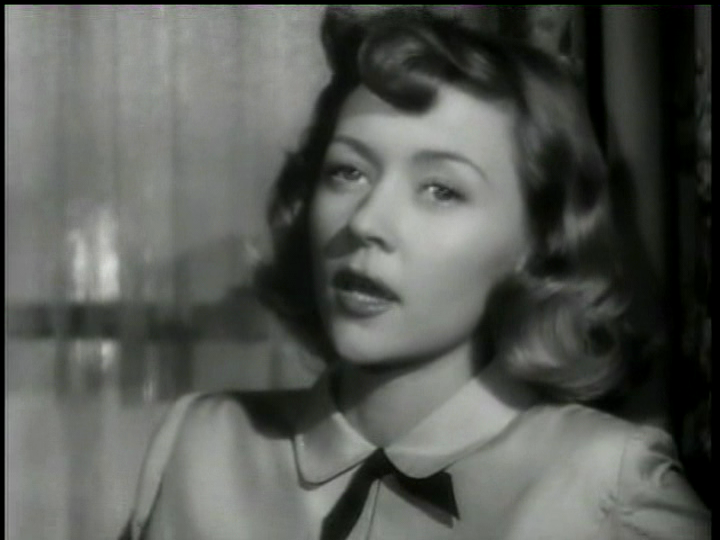 Sorta funny/sick the way Gloria Grahame is left unattended on the floor with a bullet in her for long stretches of dialogue. 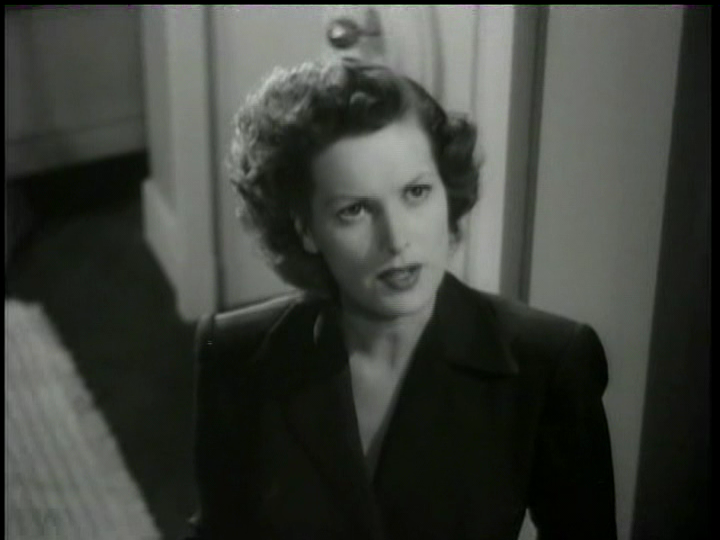 Mankiewicz can’t quite make up his mind who his main character is, which creates a stimulating muddle: first we get ex-singer Maureen O’Hara, who claims to have fired the shot (which perforated protege Gloria Graham), but the investigation is taken up by their pal, Melvyn Douglas. he’s playing a popular radio personality and music expert / musician, of the temperamental genius/wit variety, so in theory it’s like having Oscar Levant as a detective, which is a wonderful idea. Melv’s casting smooths off some of the gloriously absurd edges of that premise, but it’s still good for some entertainment value. And so the story moves on, with Douglas narrating his experiences to detective Jay C. Flippen, the man with the face of a tick, then a variety of characters giving their part of the story. Bill Williams figures in as a bullish ex-serviceman somehow mixed up with the ladies’ past, and then Flippen’s wife (Mary Philips) weirdly hijacks the narrative, an armchair detective and mystery fan who can’t resist getting mixed up in her husband’s cases. It doesn’t make any sense for this comedy character to turn up, stealing fire from our other novelty investigator (both Melvyn and Mary deserve a series of their own!) and cracking the case with a mixture of idiocy, intuition and boundless self-confidence. One thing this movie helps with is clearing up the CITIZEN KANE authorship debate (if anyone’s still in doubt). See, this movie is Mankiewicz’s baby, with Ray a hired gun brought in to execute it. Mank wrote and produced it. He did a perfectly good job, with even the weird lacunae and ambiguities adding interest. But there’s absolutely no artistic ambition at work: all he wants is a nice little melodrama. Without Welles’ drive and imagination and will to achieve the impossible, Mankiewicz was little more than a heap of kindling without a spark. Y’see, not only do Maureen and Gloria live together, but they took a trip to Paris together and Maureen says she regards Gloria as an extension of herself. 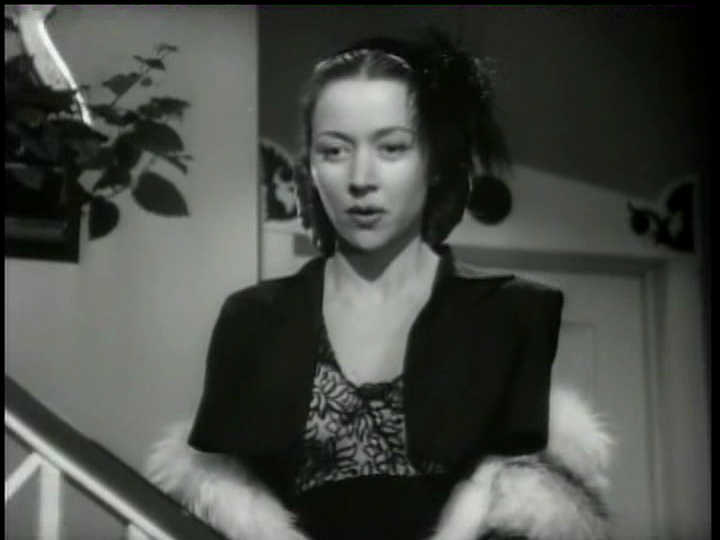 It’s all a bit suggestive, although the scene where Grahame first demonstrates her singing ability is carefully played — she sings to Melvyn, who looks at Maureen, who looks at Gloria. Another scene, at a cafe in Algiers, has an ambiguous reaction from two old duffers when Melvyn embraces Grahame. Are they dismayed that she’s got a man, or dismayed that he’s got a woman? These are two gentlemen vacationing together in North Africa, so I wondered. The reaction made is a sort of expulsion of air through the lips — not a razz, but something looser. here, I’ll do it for you. Like that, you understand? And this is how Jay C Flippen reacts to Melvyn Douglas’s lunch invitation. Of course, these actresses, though not devoid of camp value, certainly don’t strongly suggest lesbian vibes, but anything that makes a film more interesting is a worthwhile reading, no? And the film has a certain shambolic quality that encourages one to look between the lines, because the gaps there are pretty huge. 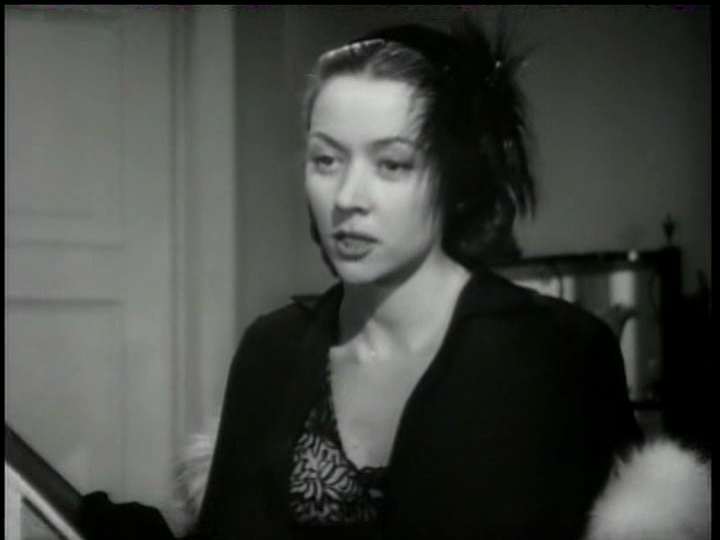 For one thing, it’s not 100% certain which woman it is who has the secret, and the movie never actually explains why O’Hara has told a self-incriminating lie. Her abrupt romantic feelings for Douglas at the end certainly seem like a classic Hollywood dash away from incriminating material. Still, Ray is in full control of his mise-en-scene, even if he doesn’t have the opportunity to really push it into the neurotic and intense terrain that suited him best. My friend Chris “Chainsaw” Bourton once pointed out to me how Ray will do anything to avoid shooting straight shot-reverse-shot dialogue scenes, and there’s a good example of that in the first scene here — in this argument prior to the shooting, Grahame moves up and down a flight of stairs, followed by the panning camera. 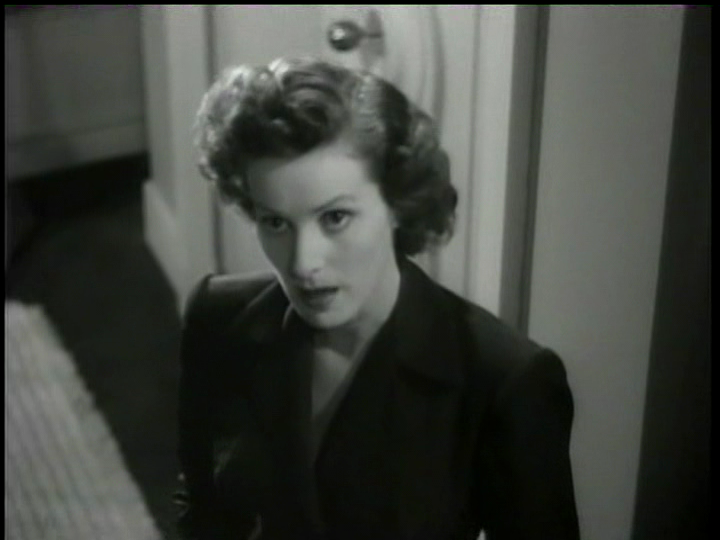 This means that while all of her lines are covered by one set-up (with a changing composition), each of the cutaways back to O’Hara is taken from a different camera position to make the eye-lines match. Since this means shooting more angles (on one character) than a static scene, and angles = time which = money, you have to know that Ray really wanted this effect and thought it worth spending the studio’s money on. Little things like this aren’t the secret (that word again) of Ray’s brilliance. But they do point to the care he took and his desire to avoid the predictable patterns of shot-reverse-shot, where the audience can settle into being subconsciously confident that they know what they’re going to see next. With Ray, you never know.